Many new traders in recent years have questions like “where can I find free online forex trading lessons?”, or come from the cryptocurrency world asking “what is Bitcoin trading all about?”. While there are many places where you can find a free day trading course online, we felt that none of them were complete or really oriented towards beginners. That’s why our market strategist David Jones will be covering the A to Z of trading, in videos that start from the very building blocks of trading, explaining currency pairs, commodities and other instruments and how traders aim to profit from their prices going up and down. At the end of this series you’ll definitely know how to trade forex in 2019, as well as stocks, indices, oil, gold and cryptos! 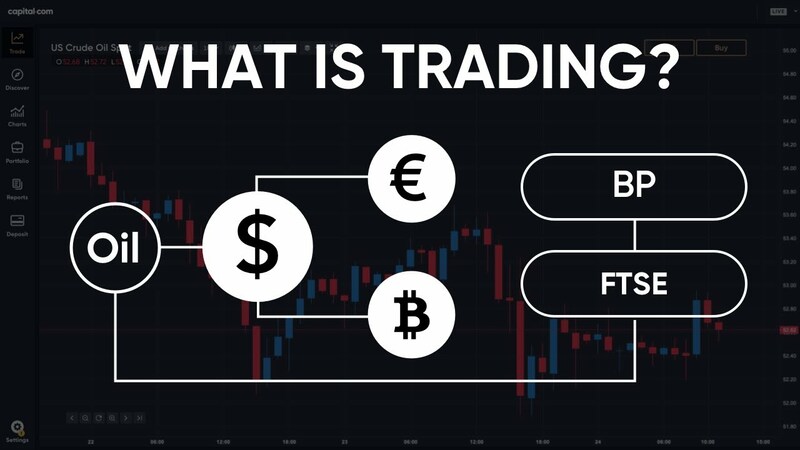 If you found our What is Forex Trading for Beginners: Part 1 video useful, you can leave us a like and if you have any questions, just use the comments and we’ll get back to you with answers! Explore trading and start investing with Capital.com. CFDs are complex instruments and come with a high risk of losing money rapidly due to leverage. 81% of retail investor accounts lose money when trading CFDs with this provider. You should consider whether you understand how CFDs work and whether you can afford to take the high risk of losing your money.